When your precious Porsche needs maintenance or repairs, don’t hesitate to bring it to the expert technicians at our Porsche service center near Albany. All of our Porsche technicians are trained at dedicated Porsche technical centers, where they fine-tune their skills and develop the expertise necessary to care for your prized vehicle. The only technicians allowed to participate in these prestigious Porsche training programs are employed by Porsche dealerships, so you can ensure you’re working with a true Porsche-certified expert. And the service center at our New York Porsche dealership is well-stocked with the complete set of specialized Porsche tools and computerized test equipment our experts need to provide the best, most accurate maintenance and repairs. We’ll work with you to resolve whatever issue your Porsche is having together. We understand that your Porsche is important to you, and it is important to us that you feel comfortable when visiting our service center. Our team prides itself on providing the highest quality of customer service alongside our flawless maintenance and repair techniques, and promises to do so in a low-pressure environment. 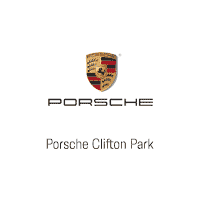 Make an appointment today to bring your Porsche in for servicing!